The IIC will offer a bodhran class. · ICC Academy’s Open House Friday, September 14th, 7 p.m. to 9 p.m.
· Irish Language 10-Week Class Begins Wednesday, September 19th, Pre- registration and fee required. · Tin Whistle 10-Week Class Begins Tuesday, September 25th, Pre- registration and fee required. 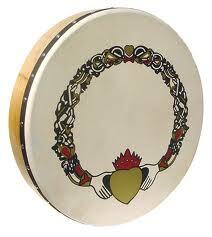 · Bodhran 10-Week Class Begins Thursday, September 27th, Pre- registration and fee required.